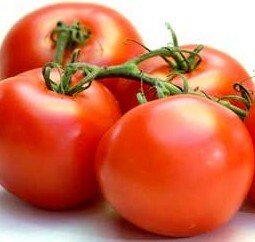 Tomatoes originated in tropical America. Tomatoes were first exported from Peru to Italy, then to Northern Europe and finally to the USA by 1781. In 1812 tomatoes were a common sight on markets and in 1817 the first seed was offered for sale in a seed catalogue. After 1817, various tomato types were developed to cater for tastes and shapes the market required. The tomato plant can be classified as sub-tropical, meaning it grows optimally in those conditions the closely resembles sub-tropical climatic conditions. In order to grow tomatoes successfully, one should attempt to provide an environment that closely resembles sub-tropical conditions. The minimum a farmer can do to increase yields and the quality of the product is to cover his tomatoes with shade cloth in order to reduce the amount of sun radiation reaching the plant (thus reducing physiological disorders such as sun scald, blossom end rot (BER) and blossom drop). Although tomatoes are a summer crop, the African summers are extremely harsh and even a tough plant such as tomatoes cannot grow without being under stress during the hottest periods of the day. There are three tomato types available to the commercial grower. Each tomato type has its own market segment for which it is suitable. They are the varieties most people know. They are usually planted in soil and grow for a limited period. They have a maximum harvesting period of five months, after which they die off. These are the types that are most commonly used in hydroponic systems. They are also the most expensive types. Expect to pay between ZAR 0.30c and 0.80c per seed (at 2001 prices). Indeterminate types do not have a limited growth period. As long as the climate is favourable the plant will grow. With the advances made in greenhouse building and climate control, indeterminate types have also become the only crop to grow. Thus it is possible to harvest 12 months of the year if the climate can be controlled in order to suit the plant. 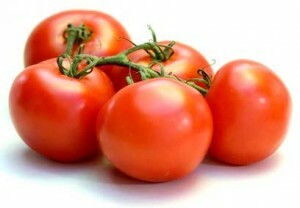 Indeterminate types are further subdivided into cherry tomatoes, cocktail tomatoes, truss tomatoes cocktail truss tomatoes etc. There are even yellow and orange tomato seed available. The processing types are only grown outside in the soil. They are not trellised but grow on the soil in a bush. They hardly reach a height of 1 m at maturity. As soon as the fruit are ready to harvest, the plant “falls flat”, leaves seem to die and the fruit become more visible to harvest. These varieties have been developed to suit mechanical harvesting in America. Tomatoes is the second most important vegetable in South Africa, trailing potatoes. It is one of the highest yielding cash crops of all produce and sells at high quantities. What makes tomatoes so attractive to potential growers is that a good quality fruit will always sell.